I just saw the Fast Pass pricing (yeah, I've missed this news for a long time! ), and I think it's great. If I'm spending all that money to get out there, the last thing I'd want is to miss rides due to long lines. I'd gladly save up that money and include it to the price of the trip. The overall look of the Land. The world needs more Slinky Dog rides. 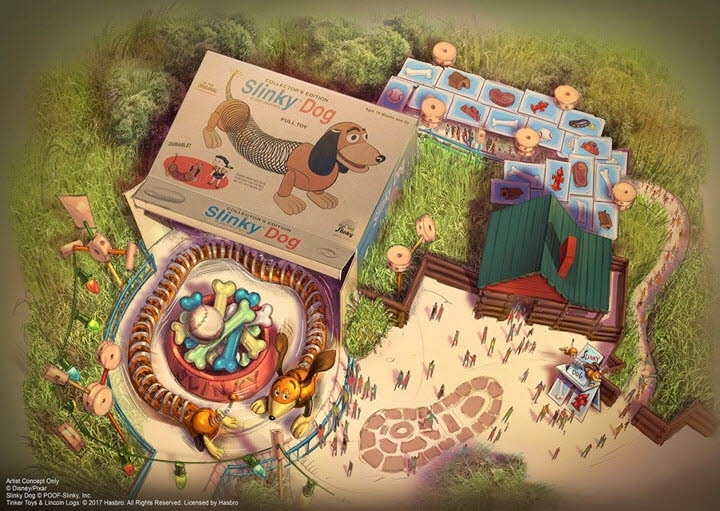 coasterbill wrote: The world needs more Slinky Dog rides. I agree! The concept art for this is much more exciting than Pixar Pier. 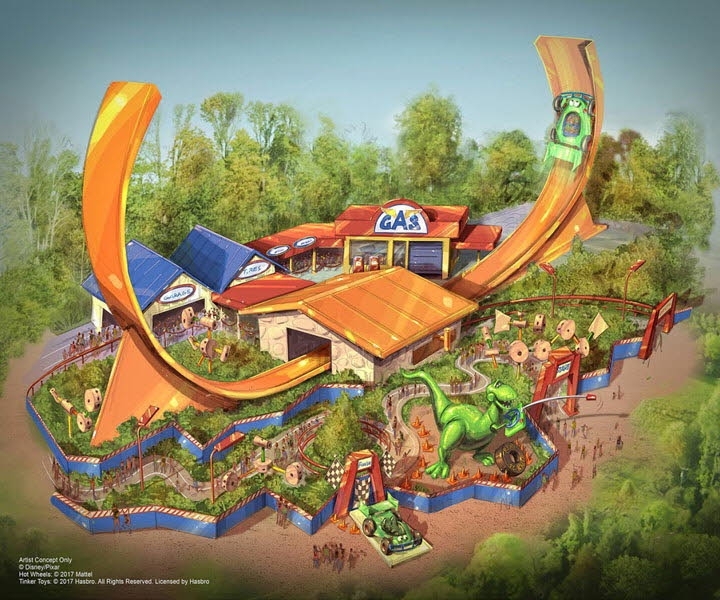 It would be very good to see Slinky Dog flat ride on Maliboomer grave site. And RC racer on either side of Screamin' Incredibles. That looks great! Woody's Roundup looks like it'll be a lot of fun! 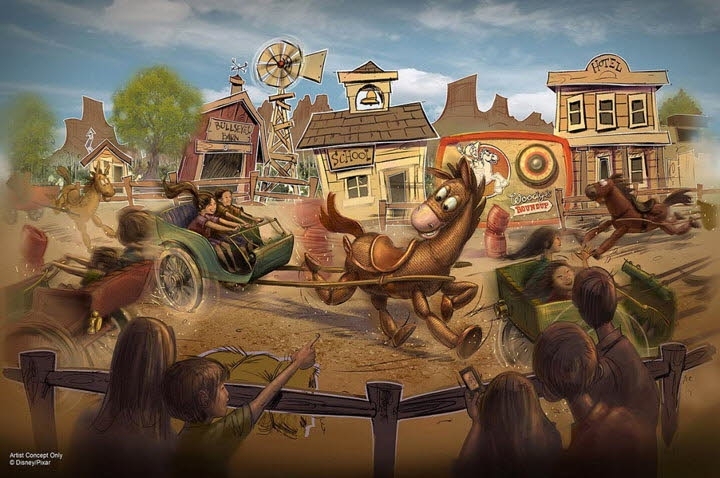 My only concern about Woody's Roundup, is the artwork shows only one set of 4 "wheels" that the carts travel around. of a jam up in the queue, though they appear to have that covered (literally). But yes ^ it look's like it will be great fun for everybody! Ok, so this might actually just be the art being wrong. But, there is definately a 5th wheel on the other side of the shed that's in the center. So, its either an even larger, 5 wheel version. 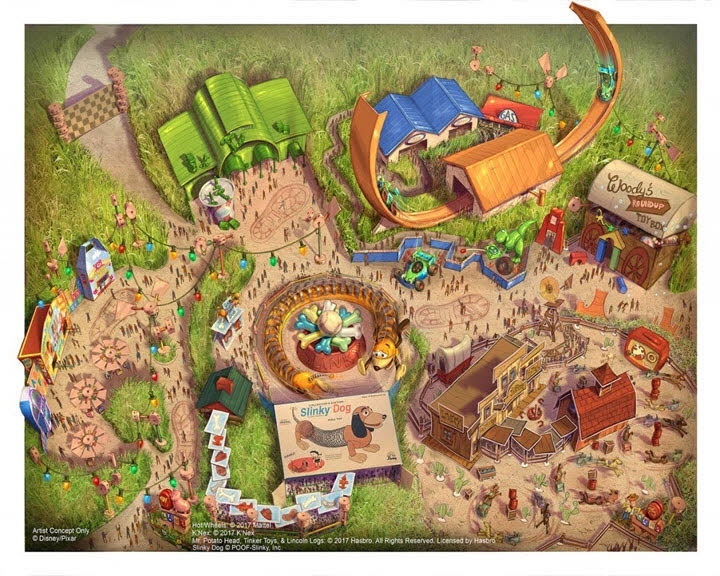 Or, there are two separate sides like in Mater's and the art just doesn't accurately depict the final design. five wheels! And the "middle wheel" would be that one right in front of the barn there. set, is very lightly drawn there, left side of lunch box. I forgot about this news photo I had in my ShDL folder. be two sets of three(four?) wheels each, for Woody's Roundup. 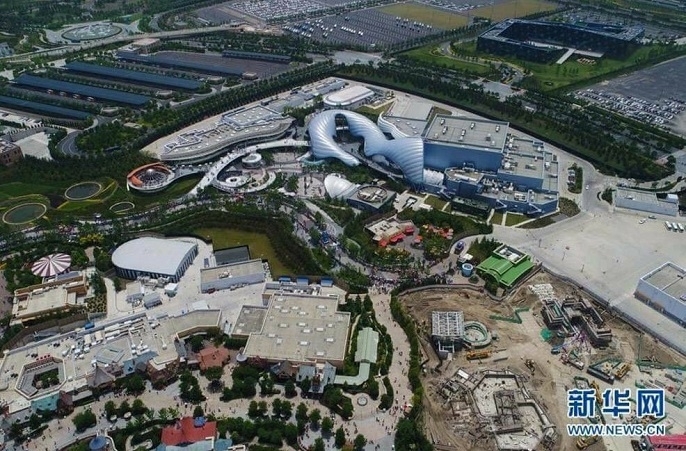 With the queue building(s) in the middle of it and beside it, it also looks like. Right beside the news logo, there. That's it!